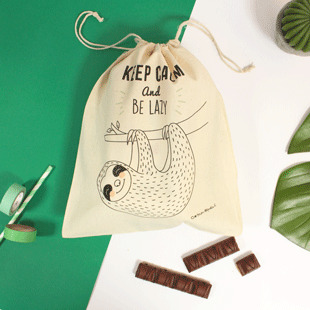 Create your own pack with a personalised lunch box and a cotton bag. 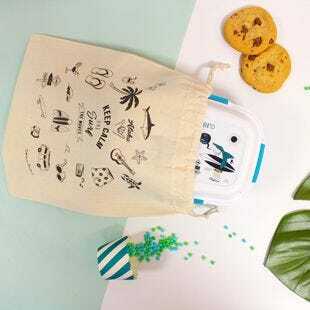 This is THE essential kit for all nomadic breaks: a lunch on the go, a school lunch or snack, school trips, an outdoor weekend picnic, some beach time or even for sport's activities. 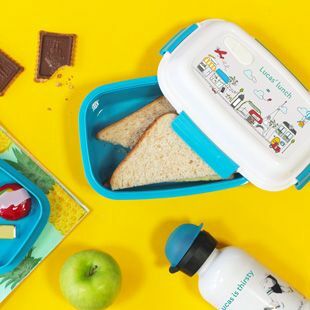 Customise your lunchbox with your favorite theme: Kawaii, Unicorn, Foot, Dinosaurs, Fairies, Princess, Superheroes, Firemen... among many others! And to take it everywhere, slip your lunch box into its little canvas bag! You can choose: Surf, Star, Jungle, Sloth, Kawaii or Football. For Christmas, offer the essential kit for all nomadic breaks: a personalized lunchbox and a pretty canvas bag. With a 1000ml capacity, 2 small compartments and a removable floor, a removable ice pack to keep food cool for a few hours. To warm your meals up, hop in the microwave! Guaranteed without BPA. And to easily carry your favourite lunch box, you can slip it into your cotton canvas bag! Available themes: Kawaii, Tropical, Surf, Sloth,Galaxy and Football! 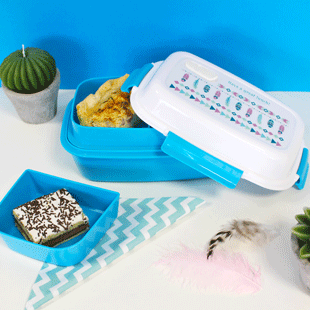 BPA-free guaranteed, this is the must-have bento for nomadic breaks with 2 small compartments and a removable floor. Thanks to the ice pack (also removable), it is ideal to keep your food cool for a few hours. To warm up your meals, straight away to the microwave and you're done! 4 colors to choose from: navy, parma, old pink, and red. And to easily carry your favourite lunchbox, you can slip it into your cotton canvas bag! Technical details: 1000ml capacity, 361g weight (excluding ice pack), 210mm (W) x 85mm (H) x 145mm (D) dimensions. 25 x 30 cm cotton canvas with drawstring closure system, suitable for our customizable lunch box. To complete the meal kit, also discover our customizable isothermal water bottles. It does everything, and is hermetically closed by four simple latches. What kid (or parent) wouldn’t want one? 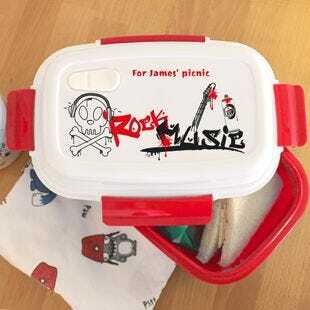 When the lunchboxes arrived I was blown away, they looked amazing! Not only did they look fantastic, but I knew that we'd use them all the time, for in the house or on one of our many adventures and days out. 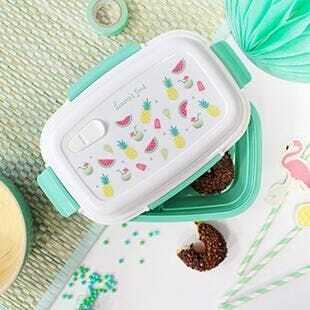 The lid fits into place easily with four clippable flaps so even your younger kids won't have any trouble getting into their lunchbox. I am obsessed with the personalised Bento box that we were very generously gifted from Petit-Fernand because it’s just so damn handy; the many compartments this lunchbox has is amazing and really helps me divide up all of Madison’s meals.